12 Navy rubber ducks are great gifts for friends and family members of a Navy service member! They make fun party favors for homecoming treat bags, or give them out at a sailor birthday party. 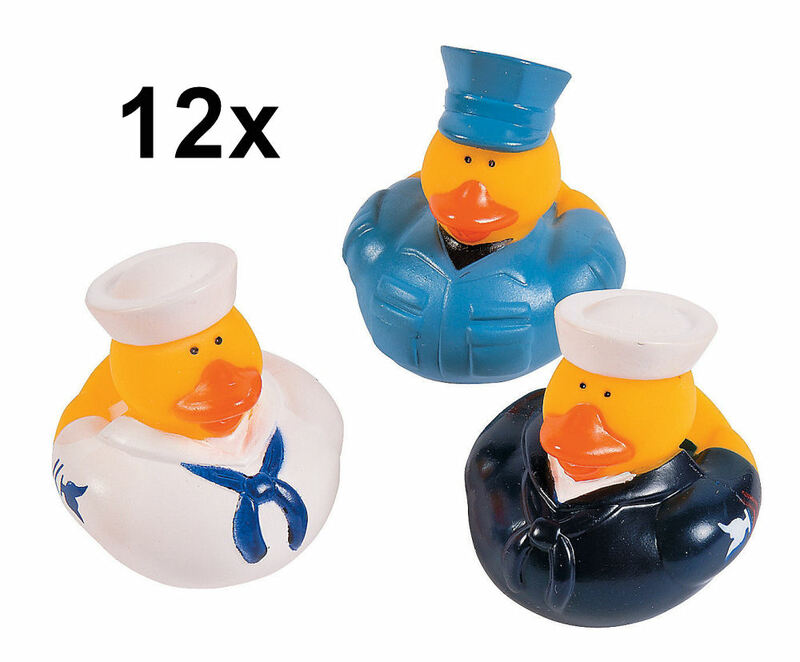 Perfect additions to any rubber ducky collection, these brave birds command the seven seas - or the bathtub - in their spiffy uniforms. Vinyl. 2 inch duckies do not float upright.